The Joint Institute for China-Russia Strategic Cooperation (Tsinghua University, Beijing) organized a scientific forum “China and Russia: the common historical legacy and the challenge of modernity (the 100th anniversary of the October revolution)” on April 22, 2017. The forum presents six key areas of study of the Russian revolution of 1917: Chinese and foreign historiography of the October revolution, Russian revolution and Sino-Russian relations; the global significance of the October revolution; the social history of Russia in the age of revolution; the influence of October revolution on China; reflections on the historical legacy of the October revolution. 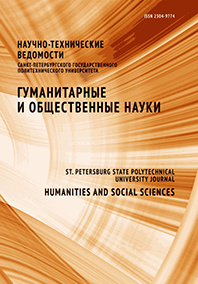 The forum was attended by scientists from Tsinghua University, Chinese Academy of Social Sciences, Peking University, Shaanxi normal University, Moscow State University, Peter the Great St. Petersburg Polytechnic University, Institute of Far Eastern Studies, Institute of Russian history of the Russian Academy of Sciences, etc. According to the general opinion, the significance of the forum stems from the fact that the October revolution remains one of the greatest events in world history that deserves thorough scientific study. All participants noted the high scientific level of presentations, relevance of topics discussed and creative atmosphere of the meeting.